Adding lighting to any pool design makes it eye-catching. But homeowners are not just looking for additional decorative pieces to their properties. People are also on the lookout for sustainability and energy efficiency. 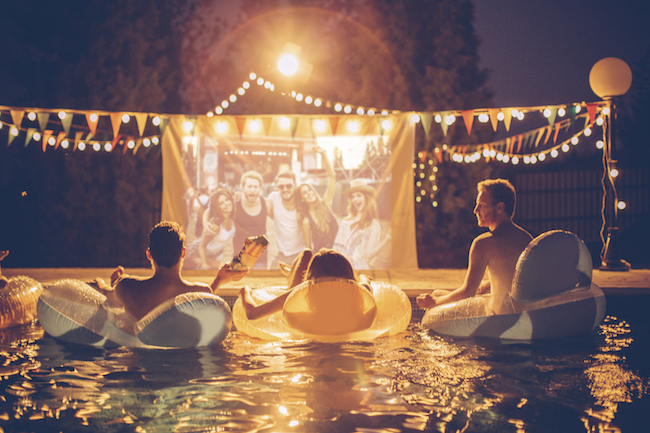 Thus, here comes the popularity of LED pool lighting. According to Design Recycle Inc, well-designed LEDs are longer-lasting. They are also more durable than incandescent lights. The latter only lasts for 1,000 hours. LEDs can reach 50,000 hours or more. Besides the combination of individual-colored LED lights to get a vibrant color spectrum, Pentair 601002 IntelliBrite claims to have more features to offer. 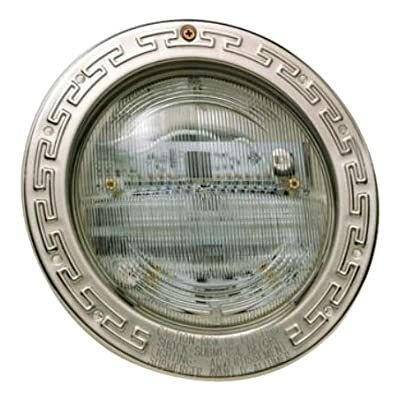 a reflector design to assure that more light would be directed toward the pool bottom. This design is said to increase the color intensity and effects. Despite that, it is said to minimize the glare. works with IntelliTouch or EasyTouch Control Systems. With this, one can transfer control of IntelliBrite lights to a system. Said system programs other features of one’s backyard and/or pool. IntelliBrite 5g light’s lens geometry is said to provide several wide angle light positions. This feature is for increased underwater light intensity and distance. Pool lens is said to be rotated to 180 degrees. 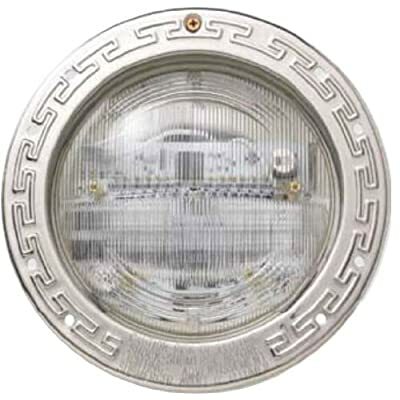 This is claimed to provide narrow beam pattern or wide beam pattern (standard). Besides that, it has superior lens geometry. This asserts to distribute light in a great way to avoid “hot spots” on the bottom of the pool. Because of this, the light intensity and color are said to be distributed more evenly throughout one’s pool. The Pentair 601011 IntelliBrite 5G Color Underwater LED Pool Light has the same features as the first two ones mentioned above. The five predetermined and fixed colors of this unit are evening blue, green, magenta, white, and red. Same as the first one, it has a reflector design. This assures that more light would be directed toward the bottom of the pool. It measures 11-inch length by 9-inch height by 11-inch. What I like most about its features is the colors. The 5 color combinations are power sequenced. The unit cycles through colors at varying speeds. It can also be fixed in different sequences of color. 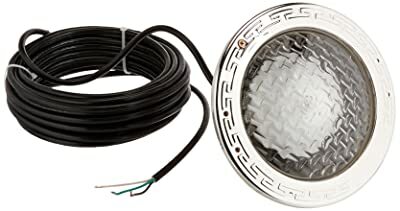 If you’re looking for a good replacement for your old old incandescent version of a pool light, then you might like to check this one. 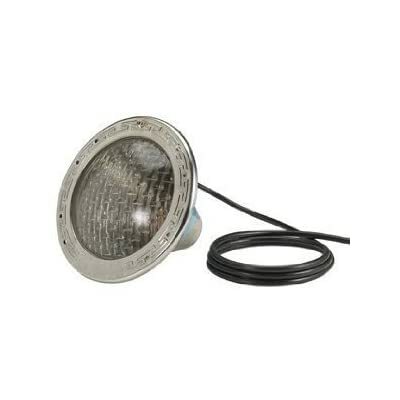 This Pentair 601100 IntelliBrite White LED Pool Light is said to be energy-efficient and emits bright light. Besides that, it also claims to last seven to times longer. Additionally, the price is very reasonable, as some customers assert. 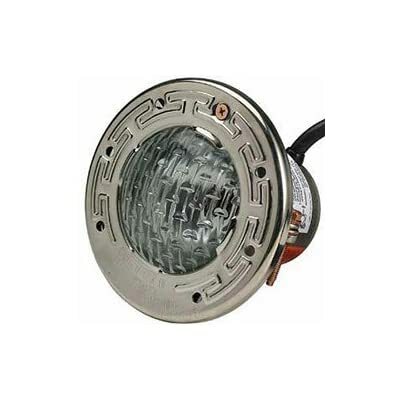 The Pentair 640131 IntelliBrite 5G Color Underwater LED Spa Light is said to replace old halogen lights. It also works easily out of the box. Same as the other LED color spa/pool lights mentioned above, it has combinations of individual colored LED. They are mixed and power-sequenced to achieve great color combos. The IntelliBrite also claims to be extremely efficient. It is using 82 percent less electricity than incandescent and halogen pool lights. 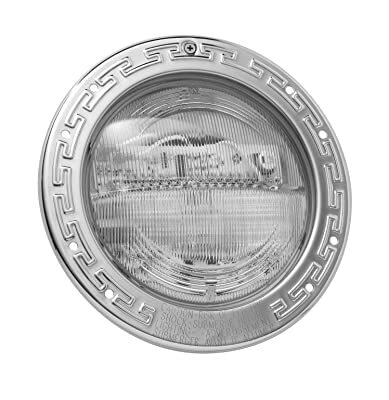 It also utilizes almost 50 percent less electricity than other competing LED lights. Amerlite lights are said to have a thermal low water cutoff. Same as the products above, this one also creates moods with optional snap-on lens covers. These colors (blue, red, and green) are available separately. Besides the bright lights and easy installation, customers claim that the color-changing feature is cool and easy to use. One can just simply flip off and back on the light switch. 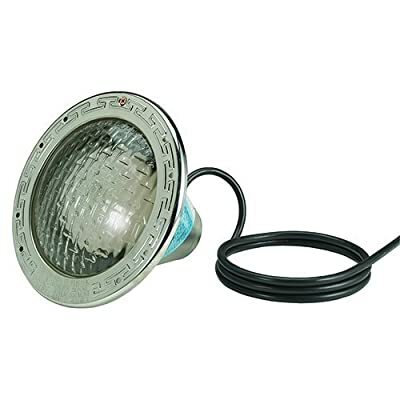 The Pentair 78458100 Amerlite Incandescent Pool Light with Stainless Steel Face Ring offers similar features as the previous product mentioned. Some customers claim that this is a perfect fit. It also comes with a bronze and a stainless mounting screw. It is said that the screw is an integral part of the grounding circuit. This one has a heat-sensing cutoff for low water protection. Besides that, this Pentair 78428100 Amerlite Underwater Incandescent Pool Light allows bulb changes. This is said to be done without lowering water levels. It also has 8-3/8 inch prismatic tempered glass lens. Said lens is used for the purpose of optimum light diffusion. Similar to other products above, this one is easy to install. If you worry on finding someone to install an in-ground pool light for you, then this unit would be perfect. Besides the easy installation, this Pentair 78451100 Amerlite unit has thermal low water cutoff. Many customers consider the Pentair 77168100 Stainless Steel AquaLight Halogen Quartz Light to be a good underwater light. Some noted that it is a perfect fit for their pools. Some mentioned it is also easy to install. The AquaLight® actually uses halogen quartz bulbs. It is said to be designed for installation in small stainless or plastic steel Pentair niches. I especially like that that the shortest cord length available is the 50-feet one, considering that it is still long. LED (Light Emitting Diode) spa and pool lights are the most energy-efficient lighting option available in the market today. Besides cutting light costs, it can also provide you with 5 color options as well as several color-changing programs. Pentair is one of the brand names known in the pool and spa lights industry. Of the ten units mentioned above, Pentair 640121 IntelliBrite 5G Color Underwater LED Spa Light has the best feedback. 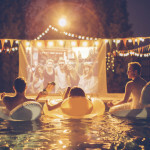 Besides the great light, customers raved that it is an inexpensive option for pool lights. Anyone can easily install it, as well. This is an important factor since DIY-ing could save you costs of paying for third-party installation services.